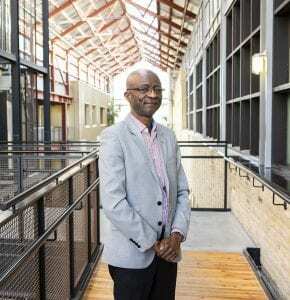 Dr. Kasongo Kalanda began his journey with technology and education at a time — and in a place — where few people had even heard of computers. 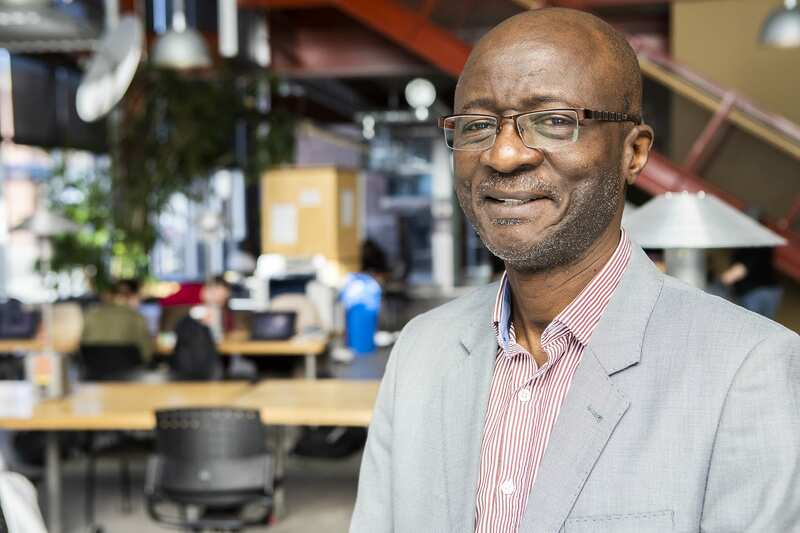 Originally from the Democratic Republic of the Congo (DRC), Kalanda’s options for post-secondary education were similarly limited as a young man, but he managed to find an opening at a private university, where he was among the first students to register for Computer Studies. Kalanda earned a bachelor’s degree in Science and a master’s in Computer Science from L’Institut supérieur d’informatique programmation et analyse (L’I.S.I.P.A. ), before moving to pursue both a second master’s and a doctorate in Computing Education from the University of South Africa. While there, he ran into a problem when his master’s thesis was required in English, a language he’d never had the opportunity to learn. Kalanda asked for three months to figure out how to read and write in English. He says it wasn’t easy, and compared it to a “do-or-die” situation. In 2008, he was invited to participate in a Microsoft-sponsored program that trained teachers in how to integrate technology into education. During a brainstorming workshop, Kalanda helped come up with the idea to create a classroom technology integration competition for teachers using a World Cup Soccer model. The end results were called School Technology Innovation Centres, an initiative for which Kalanda became manager for Africa and the Middle East, eventually travelling to more than 50 countries between 2008 and 2013. “I organized the competition and was part of the jury that selected the best teachers in Africa and the Middle East,” says Kalanda. “So after training them, we would select the 20 best teachers, who would meet other teachers from Europe, America and Asia to present the best project. Kalanda met the team running the Canadian version of the competition when its members came to South Africa in 2010. A year later, they invited him to lecture at select universities in Canada, including the University of Manitoba, where he landed a position as a visiting professor, which he held from 2013 to 2015. To this day, he still does research through the university’s Faculty of Education, teaching graduate students how to develop video games for educational purposes. 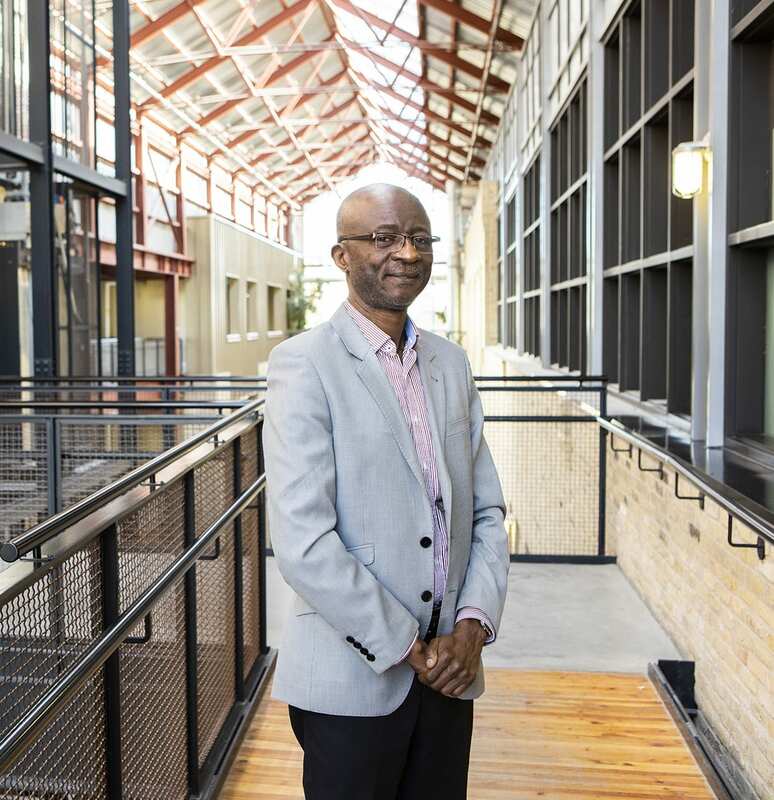 Kalanda was looking for a similar opportunity, which eventually led to him teaching the Introduction to Computer Skills course at RRC’s Interlake Campus in September 2018. He says the curriculum is very practical compared to his other teaching experiences so far. “At RRC … it’s a concentration to prepare them to transition directly in a job, whereas university is formal theoretical training, whether you eventually apply it or not,” he says. Kalanda has already added a Web 2.0 section to his class, which includes information about how to design, build and use social media. He wants his students to understand interactive ways to enter e-business, noting it helped one of his students make an impression during a job interview that led to her landing the role. Kalanda says he settled in Manitoba with his family because he likes the people and speed of life here, and how it allows him more time and space for research, family and other projects. Kalanda has also written books, including one about his life (available in both French and English), which will be available to order on Amazon starting May 20, 2019.